Beautifully designed, these Marquis floor registers have a core strength which can hold up to 200 lbs. 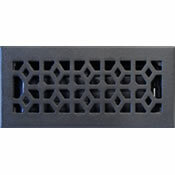 To install this decorative vent, all that is required is to drop it into the hole in your flooring. The Marquis floor register features an adjustable steel damper which allows for air flow control, but it has a cast iron faceplate. This pewter decorative vent is the perfect accent to any room that has silver or gray tones. 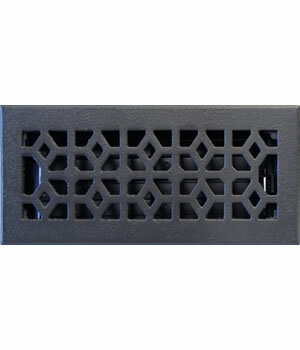 Our Marquis floor register is made out of a cast iron construction, making this decorative vent a reliable choice. 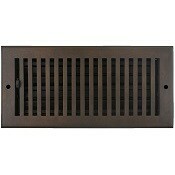 By purchasing this decorative vent, you will be able to control the airflow in your space whether it be for heating or cooling needs. Tip: Our 4" x 14" Marquis floor register will fit into a hole size that measures 4" x 14". 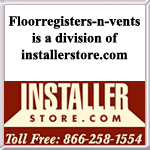 When ordering your decorative vent, do not measure your previous vent cover. It will take the manufacturer approximately 2-7 business days to ship the item. Marquis floor registers can be found in other styles and finishes to match any room. Order these decorative vents today and redesign your floors with these Marquis floor registers which will add some flair to your room.